Not all energy sources have the same negative environmental effects or natural resources depletion capability. Fossil energies exhaust natural resources and are mostly responsible for environmental impacts. On the other hand, renewable energies in general, and wind energy in particular, produce few environmental impacts, and these are significantly lower than those produced by conventional energies. Chapter V.1 describes the life-cycle assessment (LCA) methodology for emissions and environmental impact assessments and, based on relevant European studies, shows the emissions and environmental impacts derived from the electricity production of onshore and offshore wind farms throughout their life-cycles. The avoided emissions and environmental impacts from wind electricity compared to the other fossil electricity generation technologies are also examined. Although the environmental impacts of wind energy are much lower in intensity than those created by conventional energies, they still have to be assessed. The possible negative influences on fauna and nearby populations have been analysed for both onshore and offshore schemes. Specific environmental impacts, such as those on landscape, noise, bird and marine organism populations, and electromagnetic interferences, are examined in Chapter V.2. Wind energy has a key role to play in combating climate change by reducing CO2 emissions from power generation. The emergence of international carbon markets, which were spurred by the flexible mechanisms introduced by the Kyoto Protocol, as well as improved regional emissions trading schemes, such as the EU Emissions Trading System (ETS), could provide an additional incentive for the development and deployment of renewable energy technologies, specifically wind energy. Wind energy has the potential to make dramatic reductions in CO2 emissions from the power sector. Chapter V.3 gives an overview of the development of the international carbon markets, assesses the impact of the Clean Development Mechanism and Joint Implementation on wind energy, and outlines the path towards a post-2012 climate regime. It also gives an outline of the EU ETS, discussing the performance to date, the allocation method and proposals for the post-2012 period. The electricity markets do not currently take account of external effects and the costs of pollution. Therefore it is important to identify the external effects of different electricity generation technologies and calculate the related external costs. External costs can then be compared with the internal costs of electricity, and competing energy systems, such as conventional electricity generation technologies, can be compared with wind energy (Chapter V.4). Science began to study the external costs of electricity generation in the late 1980s, notably with the Externalities of Energy study (ExternE), which attempted to develop a consistent methodology to assess the externalities of electricity generation technologies. Work and methodologies on the ExternE project are updated on a regular basis. This project values the external costs of wind energy at less than 0.26 c€/kWh, with those of conventional (fossil fuel-based) electricity generation being significantly higher. In Chapters V.4 and V.5, Wind Energy – The Facts presents the results of empirical analyses of the emissions and external costs avoided by the replacement of conventional fossil fuel-based electricity generation by wind energy in each of the EU27 Member States in 2007, 2020 and 2030. Wind energy avoided external costs of more than €10 billion in 2007, and this figure is expected to increase as penetration of wind energy increases over the coming decades (Table S.5). Note: A precondition for full implementation of the environmental benefits estimated for 2020 and 2030 is continuous adaptation of financial support instruments and the removal of barriers to market integration of wind energy. Analysis of the key issues involved in social acceptance by key stakeholders and policymakers (stakeholder acceptance). 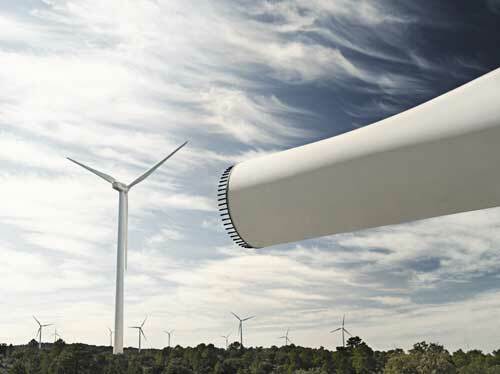 The way in which wind farms are developed and managed, as well as the way in which the public engages with them, may be more important in shaping public reactions to new projects than the purely physical or technical characteristics of the technology. Such factors significantly affect the relationships between hosting communities, developers and the authorities. There are no fixed rules for the management of social acceptance on technological matters, but proper consideration of this wide range of issues may help promoters and authorities learn from past experiences and find mechanisms to maintain and expand public engagement in wind development.